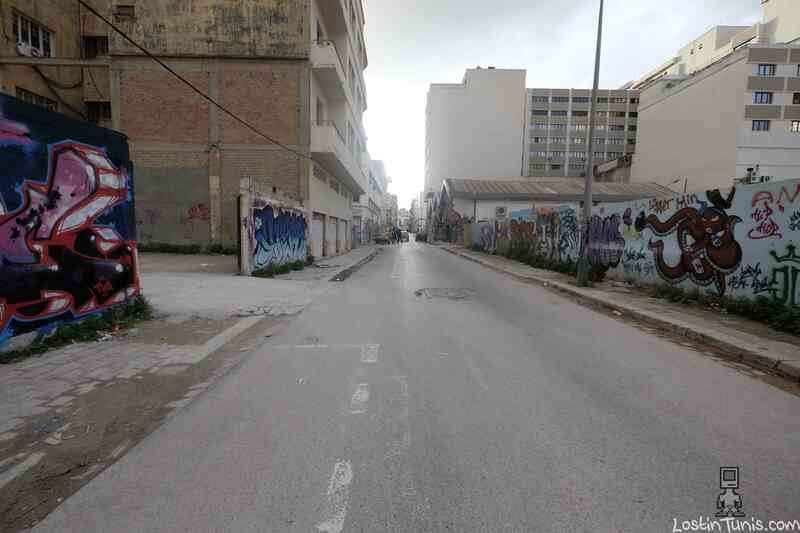 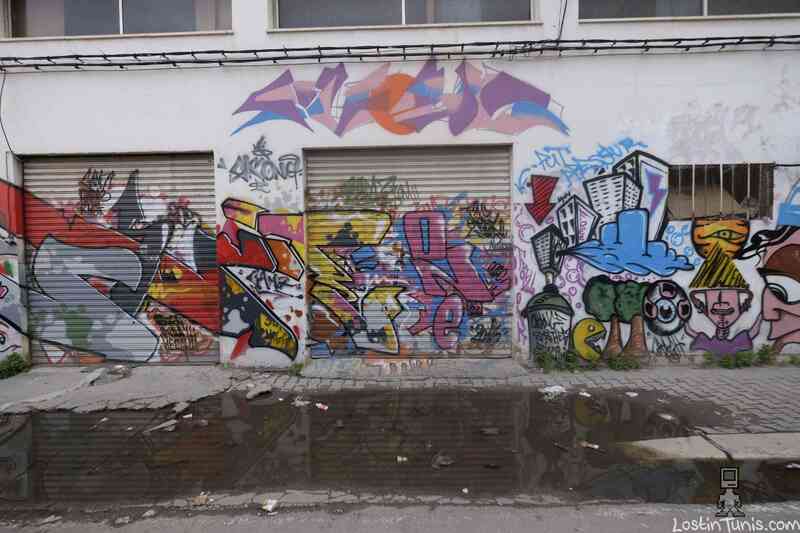 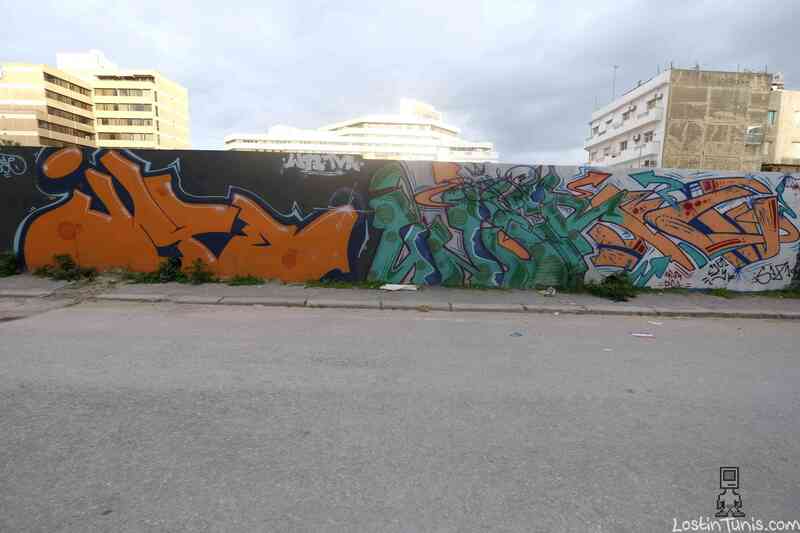 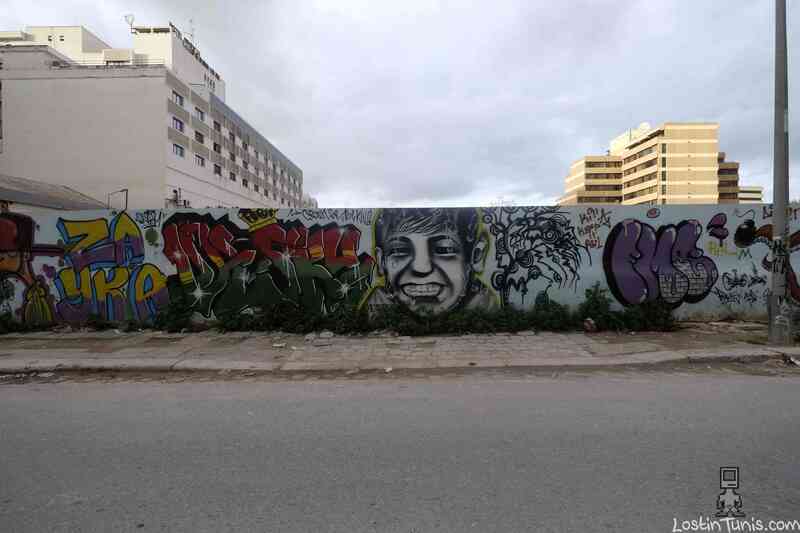 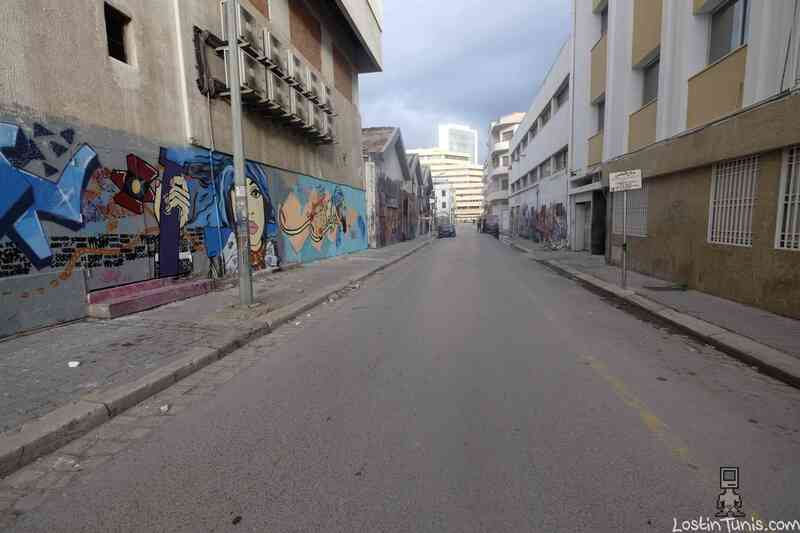 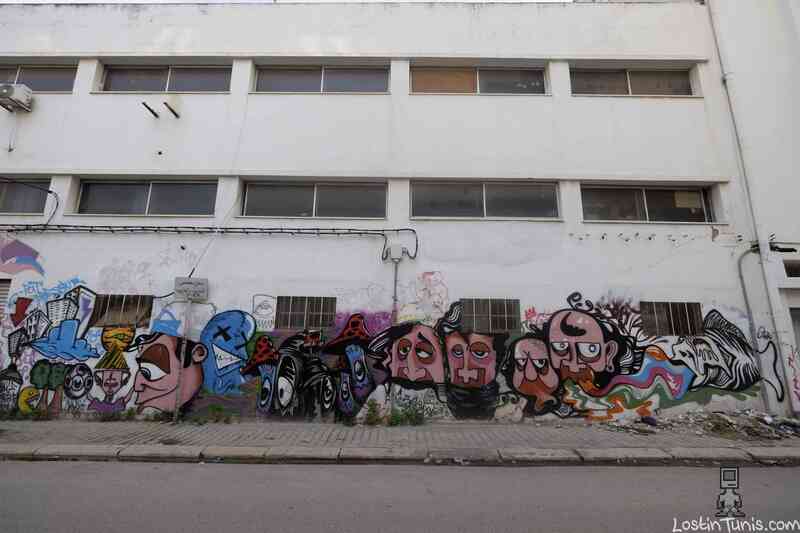 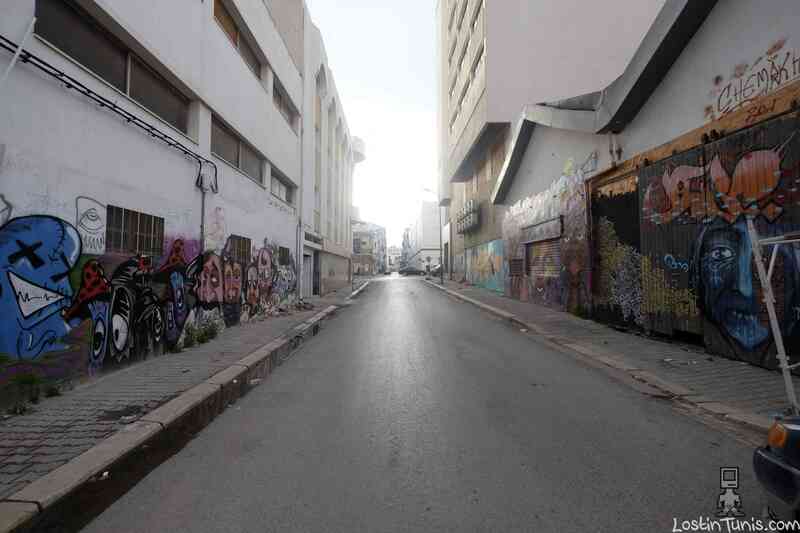 Rue Lenine is a street in downtown Tunis that became a real Street Art open air gallery. 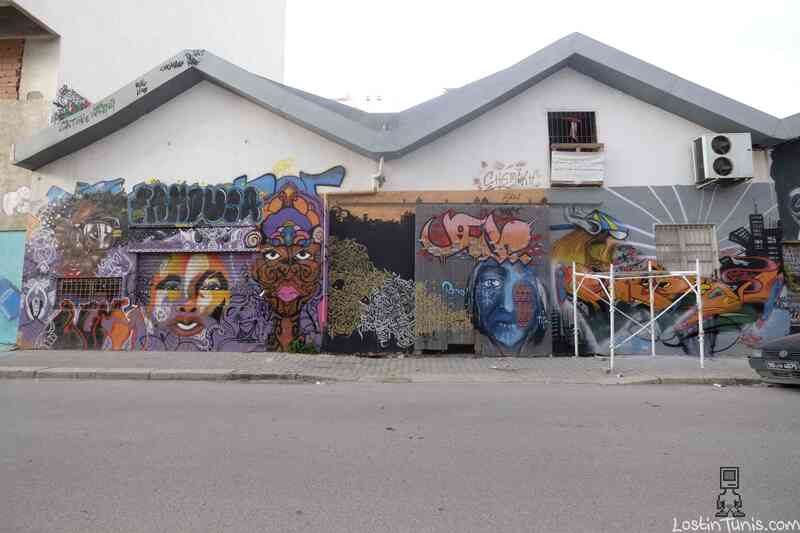 First it began with the Whatever Saloon then the Tag store café , 2 coffee shops that soon became the HQ for many underground artists, musicians holding concerts and other activities. 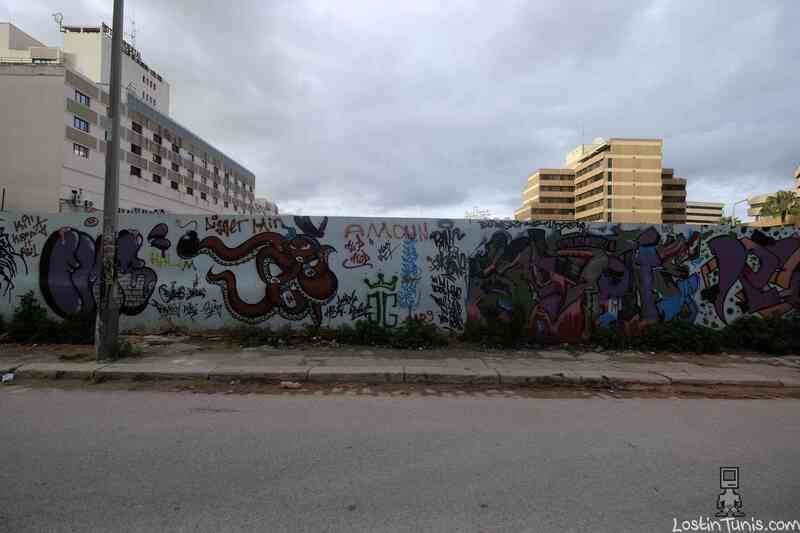 Street artists started tagging the café walls then expanding to the walls around now nearly the whole street is covered with tags and paintings making it unique and unseen before in downtown. 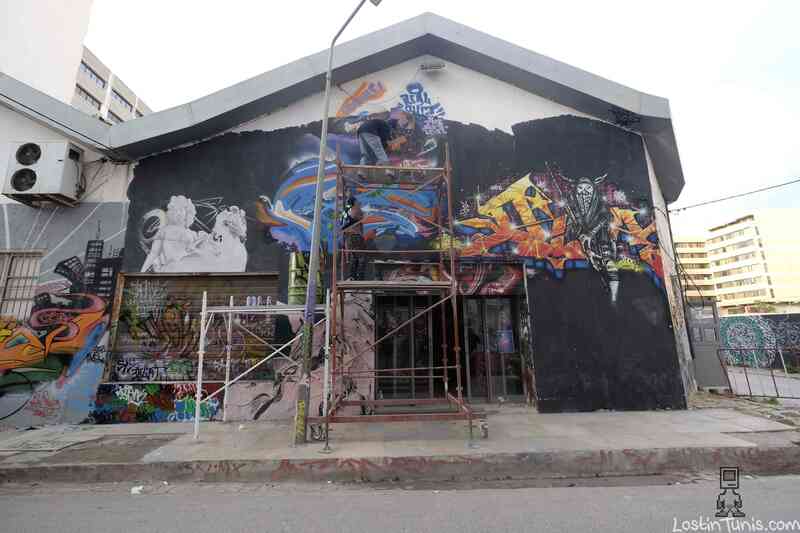 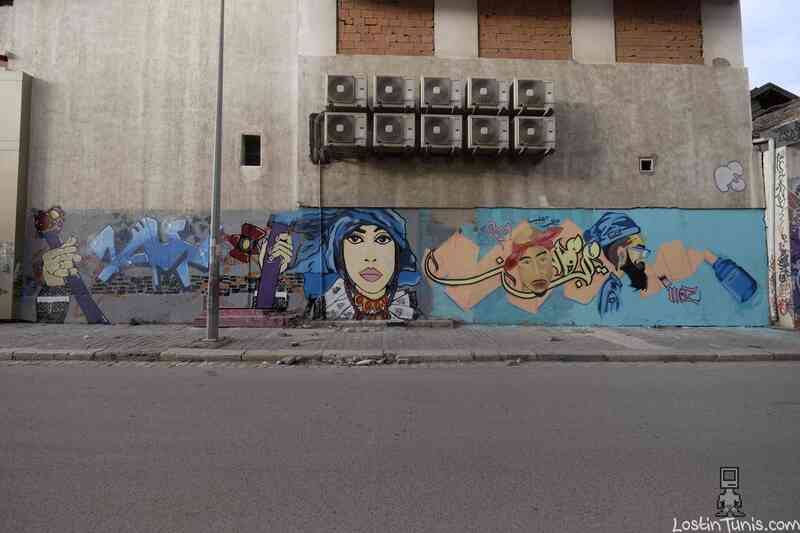 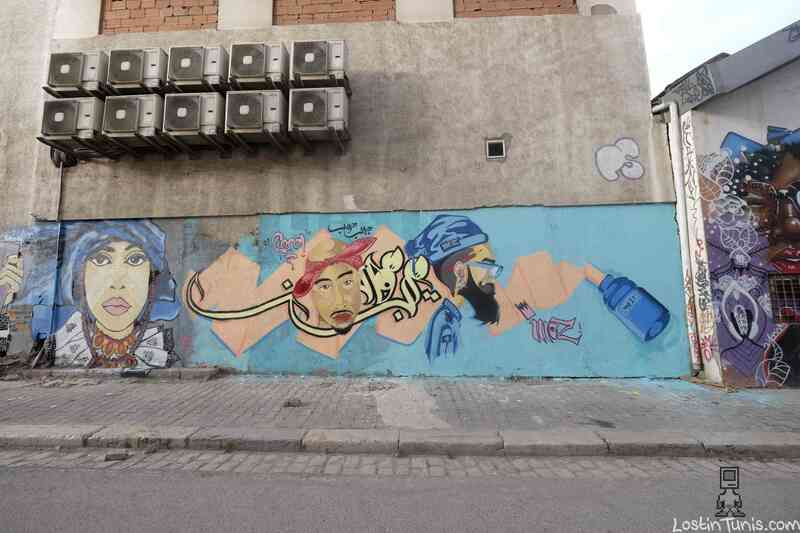 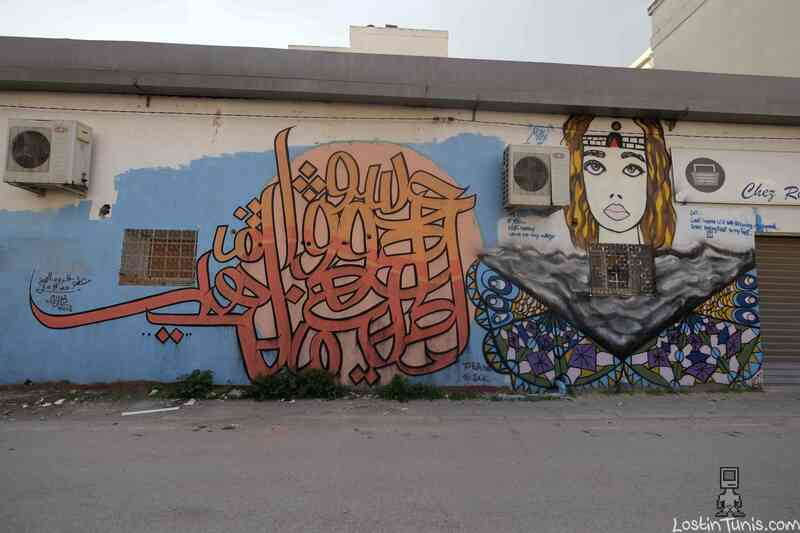 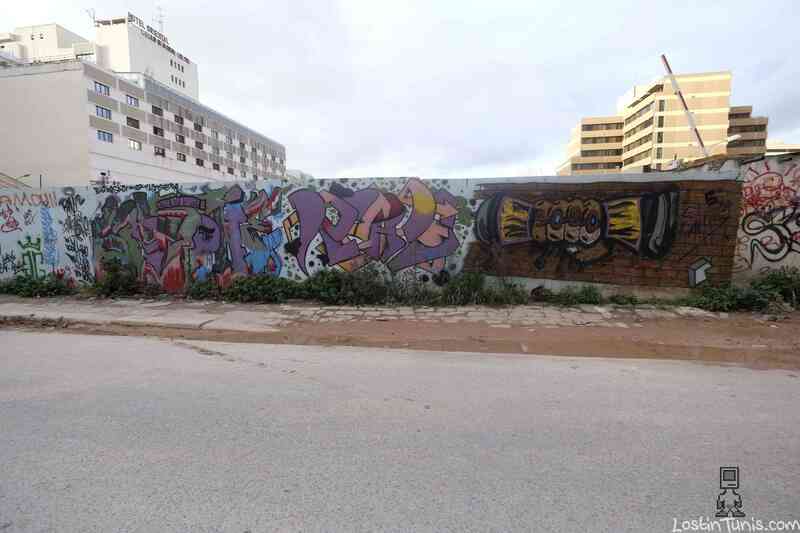 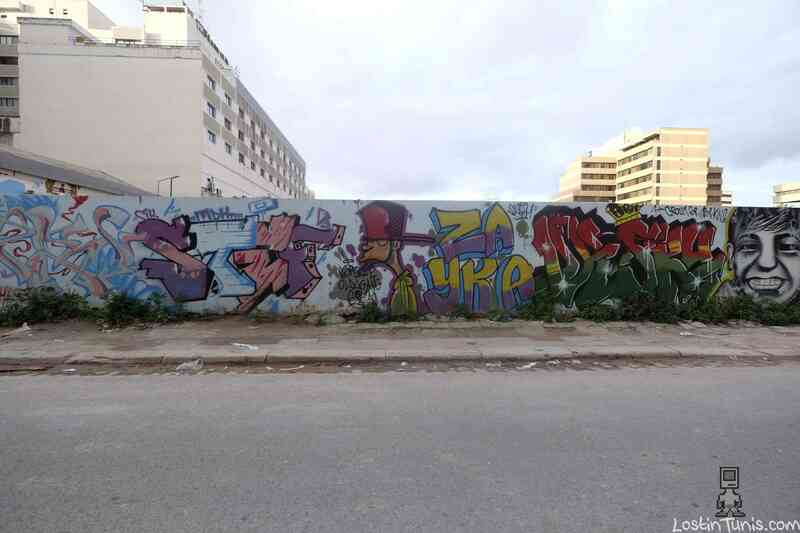 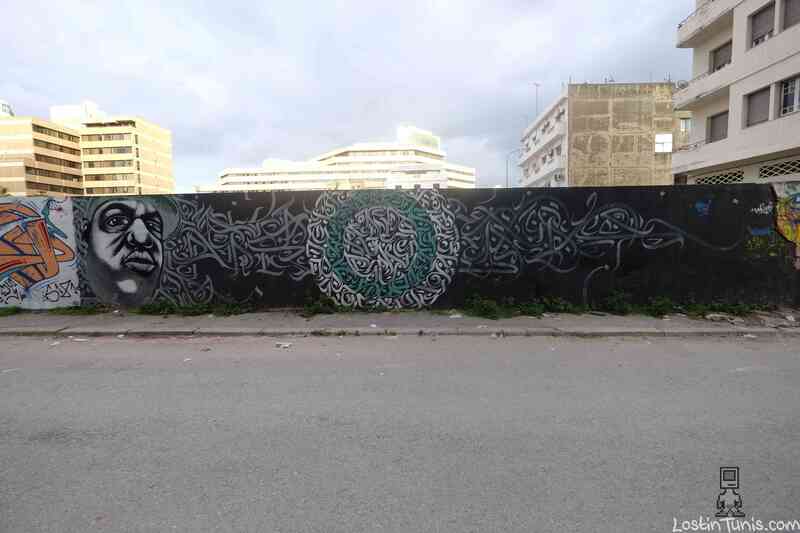 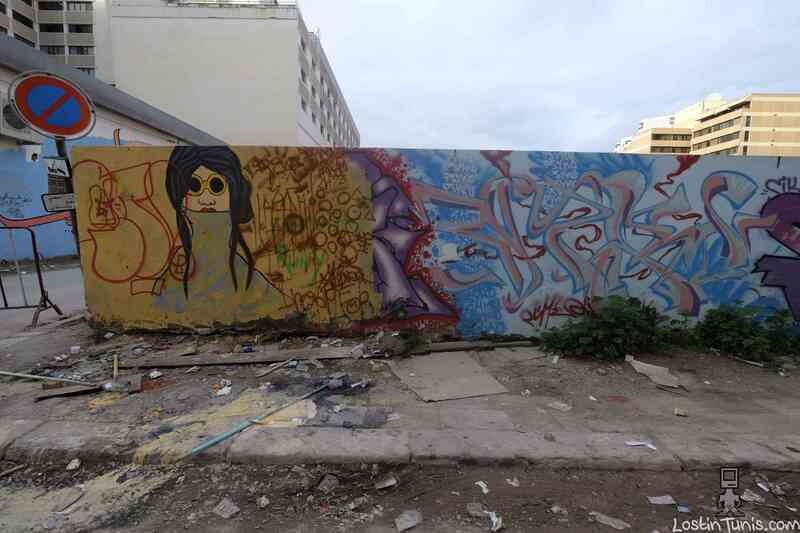 and since it’s 5 minutes walk near the main Habib Bourguiba Avenue visiting it is a must for streetart lovers. 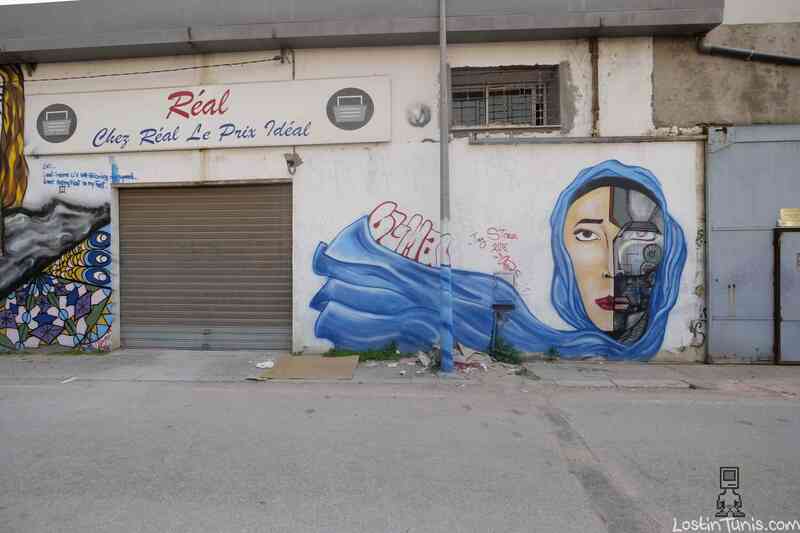 here the Google maps coordinates.